NewCardio, Inc. (NWCI.OB) Video below. Learn more about NewCardio at their website. PEABODY, Mass., Aug. 3 /PRNewswire-FirstCall/ — PHC, Inc., d/b/a Pioneer Behavioral Health (NYSE Amex: PHC), a leading provider of inpatient and outpatient behavioral health services, today announced that it has retained Hayden IR, a national, New York-based investor relations consulting firm, effective August 15, 2010, to develop and implement a strategic investor relations program to raise its visibility and strengthen its relationships with the investment community. 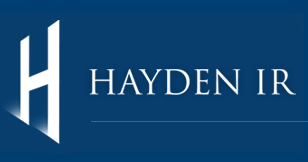 With offices in New York, Phoenix, Minneapolis and San Diego, Hayden IR provides a comprehensive range of investor relations services to a growing list of clients. For more than a decade, Hayden IR has been a recognized leader in driving market recognition and creating sustainable competitive advantages for more than 100 micro- and small-cap companies. Hayden delivers expertise and professionalism in such areas as investor management, relationship building, awareness campaigns, online presence and corporate identity. PHC, Inc., d/b/a Pioneer Behavioral Health, is a national healthcare company providing behavioral health services in five states, including substance abuse treatment facilities in Utah and Virginia, and inpatient and outpatient psychiatric facilities in Michigan, Pennsylvania, and Nevada. The Company also offers internet and telephonic-based referral services that includes employee assistance programs and critical incident services. Contracted services with government agencies, national insurance companies, and major transportation and gaming companies cover more than one million individuals. Pioneer helps people gain and maintain physical, spiritual and emotional health through delivering the highest quality, most culturally responsive and compassionate behavioral health care programs and services. For more information, visit www.phc-inc.com. This press release may include “forward-looking statements” that are subject to risks and uncertainties. Forward-looking statements include information about possible or assumed future results of the operations or the performance of the Company and its future plans and objectives. Various future events or factors may cause the actual results to vary materially from those expressed in any forward-looking statements made in this press release. For a discussion of these factors and risks, see the Company’s annual report on Form 10-K for the most recently ended fiscal year.